The Future of HR is SHRM – Certified. Earn the Standard in HR Certification with our Preparation Exam Program with Expert Instruction. Prepare with the Wisconsin Small Business Development Center at UW-Madison’s SHRM Learning System for CP/SCP course. 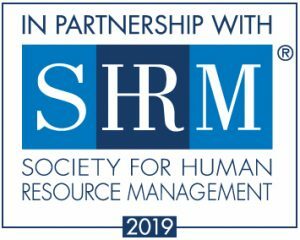 Establish yourself as a globally-recognized human resource expert by earning the new standard in HR certification: SHRM Certified Professional (SHRM-CP?) and SHRM Senior Certified Professional (SHRM-SCP?). Ensure you’re prepared with our course designed for SHRM credential candidates. Expand and test your knowledge and practical, real-life competencies in areas critical for HR career success. This intensive one evening a week for 10 sessions program combines expert instruction with the SHRM Learning System® for SHRM-CP/SHRM-SCP, so you will learn faster, retain more knowledge and stay on track for success on the exam. Why enroll in our course? Our course is based on the 2019 SHRM Learning System® for SHRM-CP/SHRM-SCP. Comprised of comprehensive learning modules teaching the SHRM Body of Competency and Knowledge™ (SHRM BoCK™), and advanced online multimedia resources, these study materials streamline study time, accelerate learning and build confidence for passing the SHRM-CP/SHRM-SCP exam. This course is offered in partnership with the Society for Human Resource Management (SHRM), the world’s largest HR membership organization devoted to human resource management. The course investment includes all course materials but does not cover registration for the SHRM-CP/SHRM-SCP examinations. Our certification preparation course is designed primarily for individuals seeking SHRM-CP or SHRM-SCP certification.